Time for hair dressing! 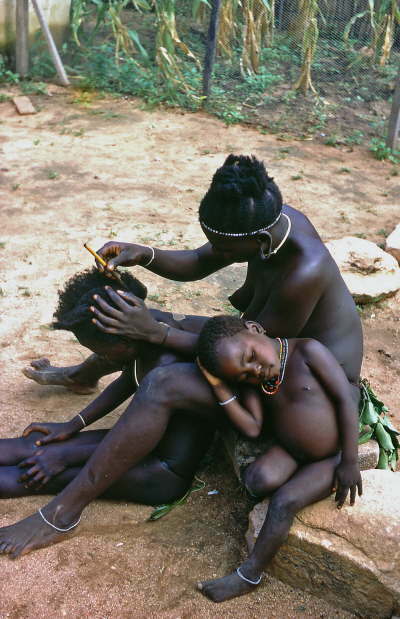 Nyassa fixes the head of a neighbour girl, while her daughter Umba is getting a rest. Before, the neighbour girl fixed Nyassas head.